More than sixty five percent of women suffer symptoms of premenstrual syndrome, or PMS. The symptoms can range from mood swings to cramps, bloating, headaches, problems sleeping, back pain and so many others. 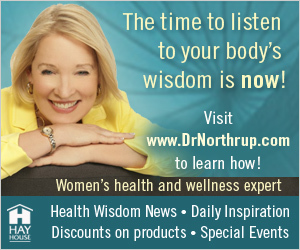 According to Dr. Christiane Northrup “everything from unbalanced nutrition to unresolved relationships can disrupt hormonal milieu.” PMS should not be ignored, as it’s a gentle reminder that you need to address some issues which can turn into a loud bang once you reach peri-menopause then menopause. First and foremost talk to your OBGYN about your symptoms to get a proper diagnosis. If you are interested in going the holistic route below take this article to your doctor for discussion. Let’s start with some things that may contribute to PMS……like dairy, caffeine, alcohol, sugar, refined carbohydrates and stress. So much is written about the importance of a proper diet, and it cannot be emphasized enough. What we put into our bodies affects our emotional and physical health. Try eliminating dairy, caffeine, alcohol, refined carbohydrates (white flour, rice, sweeteners, white pasta) and sugar for 60 days and see how you feel. Whatever you are eating please try, as much as possible, to buy organic to avoid hormones and pesticides. Supplements: Take a good multivitamin/mineral supplement for women. Companies that make high quality supplements like New Chapter, Mega Foods and BlueBonnet have excellent multi’s. Magnesium and a B-complex are also very important. Both are great for mood and anxiety. Make sure you are getting enough Omega 3 fatty acids in your diet via nuts, seeds and cold water fish such as salmon (wild caught Alaskan), sardines and greens such as kale, swiss chard, okra and spinach. If you don’t eat any of these foods get a good fish oil or flax seed supplement. Herbs: Wild yam and chasteberry/vitex help to balance the hormones; (work with an herbalist for proper dosage). Dandelion or milk thistle are great for detoxing the liver and act as a diuretic. Homeopathy: Studies have shown that homeopathy is effective for PMS. What is great about homeopathy is that it doesn’t interfere with any prescription meds you are taking. Boiron and Hyland are two brands. Exercise: All you have to do is walk everyday but make it a brisk walk for about 30 minutes. Yoga and Tai Chi are extremely beneficial as they will also help relax and calm you. Meditation is part of yoga and will help keep you centered and balanced emotionally. Body work: Try reflexology. The therapist will massage pressure points that will relieve PMS. Toxic relationships: This is a tough one. Take time to assess who you surround yourself with. It may take that awareness to realize who is bringing you down. Difficult relationships affect your body, mind and spirit. It may be that a conversation with someone is all you need – or you may just need to move on…(your health and well-being need to come first). You can also talk to your doctor about natural bioidentical progesterone cream and soy supplements. Keep in mind that your thoughts are so powerful. I was lucky to have a mother who never talked about having a period or menopause negatively. She once said to me, “Maria, if a woman didn’t get her period there wouldn’t be any creation of life on the planet.” I never suffered from PMS and my menopause transition has been very smooth. Studies show that young girls who are taught to respect their cycles have little or no PMS. So if you have daughters try not to refer to their monthly cycle as “the curse.” All our thoughts pave the way for the direction our life takes so be mindful of what you are thinking and saying both to yourself and others. Lastly, woman take on so much. We are the nurturers, the caregivers, mothers, partners, great friends and we give so much of ourselves. We don’t even realize how depleted emotionally or physically we can become. Be kind to yourself…go for a massage, take a day just to do things that fulfill and nourish your soul. Most importantly, never feel guilty about needing to rest and re-charge yourself…you are worth it!